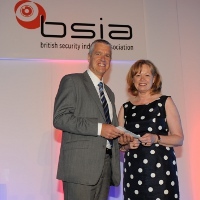 The hard work and achievements of 15 outstanding security professionals have been recognised in the national round of this year’s British Security Industry Association (BSIA) Security Personnel Awards, which were presented at the Association’s exclusive annual lunch held at the London Hilton on Park Lane. 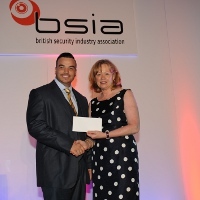 Her Rt Hon Baroness Smith of Basildon – Shadow Home Affairs Minister for Private Security presented the prestigious awards, which provide an exclusive platform to showcase the excellence and outstanding performances displayed by employees of BSIA member companies. Currently in their 16th year, the awards are presented in five key categories: Service to the Customer, Outstanding Act, Best Newcomer, Best Use of Technology and Best Team. A full list of winners and their achievements can be found below. 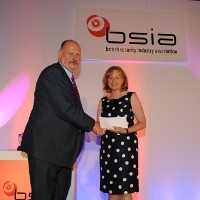 “The BSIA is always keen to ensure that the efforts and talents of personnel who make invaluable contributions towards maintaining high standards in our industry are not overlooked,” comments James Kelly, Chief Executive of the BSIA. “The awards give us the opportunity to recognise and reward individuals and teams that continue to exceed our expectations year upon year. 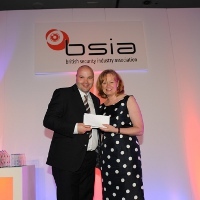 The awards would not be possible without the support of Camberford Law PLC, specialist insurance brokers to the BSIA and the private security industry, who have sponsored the awards since their inception. Roger Vanhinsbergh – Roger has worked for security company City Security Services Limited and has worked on a contract for their client – Horsefair Shopping Centre – for over seven years. He was nominated for the award by his managers for being the ‘lynch-pin’ of security operations at the shopping centre. Since starting on the contract at Horsefair, Roger has consistently continued to exceed the high standards that are required of him. Through his hard work, commitment and willingness to ‘go the extra mile’, Roger has gained the respect and gratitude of the Centre’s customers and its management team. Leonard Brownsword – Leonard has worked in the security industry for over 12 years and has been a Senior Site Supervisor for Corps of Commissionaires Management – Corps Security for over a year. He has been nominated for the award by his managers for being an extremely hard working individual, who has very good rapport with the staff, regular visitors and contractors on site. Leonard works for Corps client – Joint Service Adventure Sail Training Centre and has been on looking after this site for a number of years. 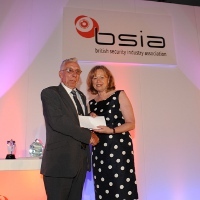 He regularly provides a service ‘above and beyond’ his remit as Site Security Supervisor that ensures the security of our staff, visitors and assets. He is always helpful, courteous and enthusiastic, he is also someone who delivers results. 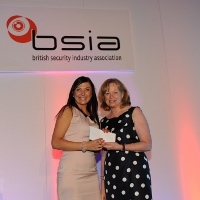 Kim McCarron – Kim works for security company UniTrust Protection Services (UK) Ltd after having worked with BNP Paribas Securities Services, for nearly seven years. 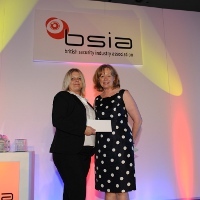 She was nominated for the award by her managers in recognition of her professional attitude and commitment to her role. Demonstrating a proactive approach to her role, Kim effectively deals with a wide range of staff and visitors on a daily basis. She caters for all their individual needs and understands the requirement to balance effective security policies and procedures with bespoke customer care and service. This has been supported on a number of occasions by positive customer feedback. 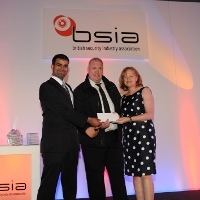 Gary Douglas and Ajaz Ahemd – Gary and Ajaz have work for Securitas Security Services and have worked on a contract with WYCA, West Yorkshire Combined Authority for several years. They have been nominated for the award by their managers for their quick thinking and immediate reaction to a sexual assault at a bus station where they were on duty. Gary and Ajaz showcased their excellent vigilance when witnessing a male following a female into the women’s toilets. Responding immediately, they followed the gentleman into the toilets where, on their arrival, the male fled the scene and it was apparent that the female in question had been sexually assaulted by the male. Both Gary and Ajaz escorted the lady to the security office where they proceeded to contact the police. A week later Ajaz was on duty when he recognised the male in question, who had returned to the bus station. He discreetly monitored the male whilst contacting the police, who subsequently arrived and arrested the man. Robert Smith – Robert works for security company VSG and has been a key member of the security team at The Mall in Maidstone for just over 10 years. He was nominated for the award by his managers following an incident in which a 15 month old girl was taken seriously ill at the Centre. A mother and her infant daughter were shopping at The Mall when her daughter had a fit and stopped breathing. Without any hesitation, Robert acted fast to clear her airways and help lower her temperature before handing her over to the ambulance services. Robert’s quick thinking led to the saving of the baby’s life. Dean Baverstock – Dean, a security Supervisor for The Westgrove Group, has been working on a selection of the Group’s Midlands portfolio for over a year. He was nominated for the award by his managers because of unrivalled passion for his work and hunger to succeed. Dean began his career with The Westgrove Group as a relief cleaner but quickly progressed to Security Officer and then to Security Supervisor in little over a year. He liaises confidently with clients at all levels and is mentoring and passing on knowledge to other new recruits. He has achieved a great deal of success in a short space of time and is currently working through the Westgrove Development programme. Karl Smith – Karl works for security company VSG and has been working on a contract for their client – The Kingdom Shopping Centre – for just under a year. 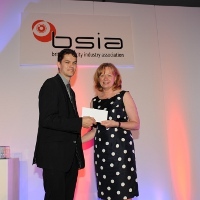 He was nominated for the award by his managers because of his commitment to the role and proves to be a valuable asset to his team. Having just started his career in security with very little knowledge of the industry, he has shown that he is prepared to learn his role quickly and shows commitment to The Kingdom Shopping Centre team by providing support to the site when additional manpower is required. Emilija Zemaitaityte – Emilija, of security company VSG, has been working with their client – Credit Suisse – based in London for just over 18 months. 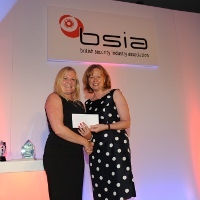 She has been nominated for the award by her managers because she has not only established herself in a core security position, but has risen quickly through the initial security ranks to become Acting Control Centre Operator. Having just started her career in the security industry, there is evidence to show that Emilija will dedicate her career to security for the long term. She is always keen to develop her security knowledge, and her enthusiasm and dedication to the company shows in her commitment to her role. 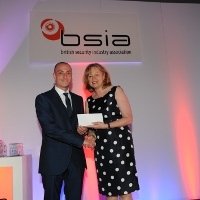 Garry MacLean – Garry of Securitas Security Services, has worked with their client, Scottish Power, for over five years and has been nominated for the award by his managers for the initiative he shows and his dedication to his role. As a controller in the Scottish Power security control room, Gary is responsible for monitoring over 700 CCTV cameras and seven alarm systems covering 42 sites. Throughout his time in the control room, he has been instrumental in pushing forward the quality of service delivery provided to Scottish Power. He is seen as the key trainer within the control room and will dedicate his own time to training up members of staff and ensure they have all the prerequisite skills to carry out the demanding role in the control room. 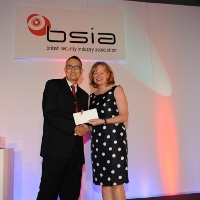 Joe Palmer – Joe Palmer, who is employed by Security Company, VSG and has worked with a DIY Retailer for a number of years, won the award for Best Use of Technology in the Midlands heat of the British Security Industry Association (BSIA) Regional Security Personnel Awards. In 2013, Joe was appointed to lead a Crime Line & Data Analysis team, which was tasked with establishing a solution capable of gathering data reported by telephone and email, with the ultimate goal of using this to pro-actively tackle organised crime. Joe has displayed an unwavering desire to always be one step ahead of the complex fraudster within a constantly challenging retail security environment. Commando Training Centre Royal Marines – The Commando Training Centre team work for security company Corps of Commissionaires Management – Corps security -and are currently contracted to work for their client The Commando Training Centre Royal Marines. They are a 27 strong team of individuals who continue deliver an exceptional services to their client. The Training Centre is a complex and an extremely busy site that has a diverse range of tenants, workers and visitors, all of whom produce their own particular security challenges. The team are able to multitask and deal with all of these challenges in a professional manner as well as securing the area during high profiled events. IKEA Milton Keynes Team – Officers a IKEA Milton Keynes are a group of seven strong and determined security personnel officers. They are an outstanding group of individuals who excel at every part of their role. The team has an excellent relationship with the client which is supported by the plethora of compliments they receive on a weekly basis. National Distribution Centre, Magna Park – The team work for security company VSG and have been excelling on their contract for their Midlands-based client for a number of years. The eight strong team are a committed group of individuals who continue to exceed the standards required of them. The team have been through a number of changes since they have been working on site but they continue to support each other in various different ways from shift cover to help deal with difficult issues and situations.